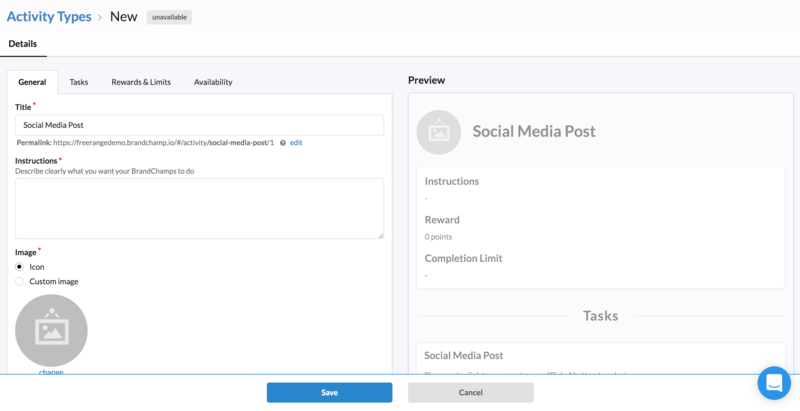 In this walkthrough, we'll create a Social Media activity which asks your BrandChamps to make a post to one of their social media networks. Click the "New Activity Type" dropdown. Some Activities, like the Referral and Onboarding Activities, can only be created once so they may be grayed out in the list. Below them are some pre-defined activity templates which set up some default values appropriate to the type of activity. If none of those types fit, you can always use the "Custom Activity" option and set up each field yourself. Note: The preview on the right side of the screen displays how the activity will be presented in the ambassador portal. This preview will update as you go through the process of creating your activity. We start off on the General tab which lets us describe what we want the BrandChamp to do for this activity. 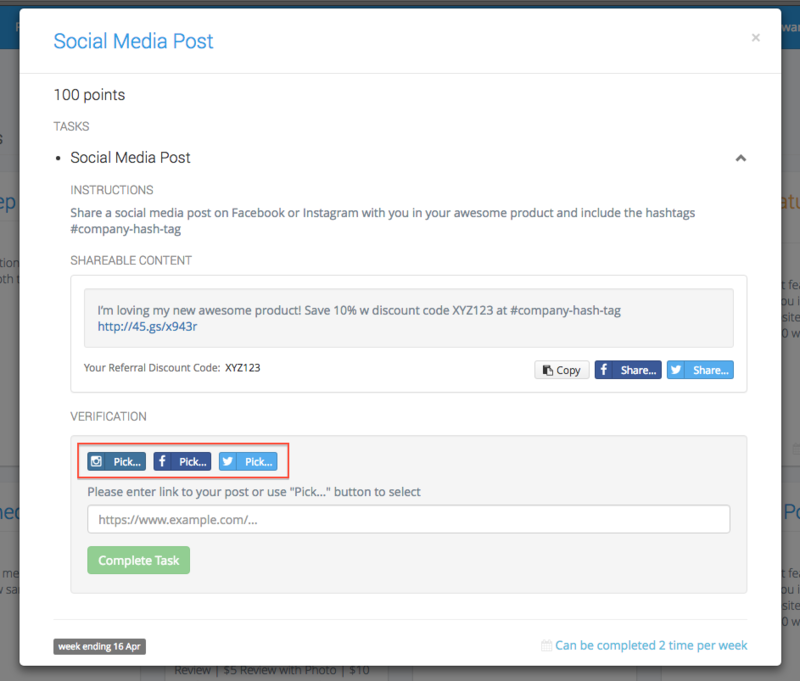 This field pre-fills as "Social Media Post" when you creating a "Social Share" activity. 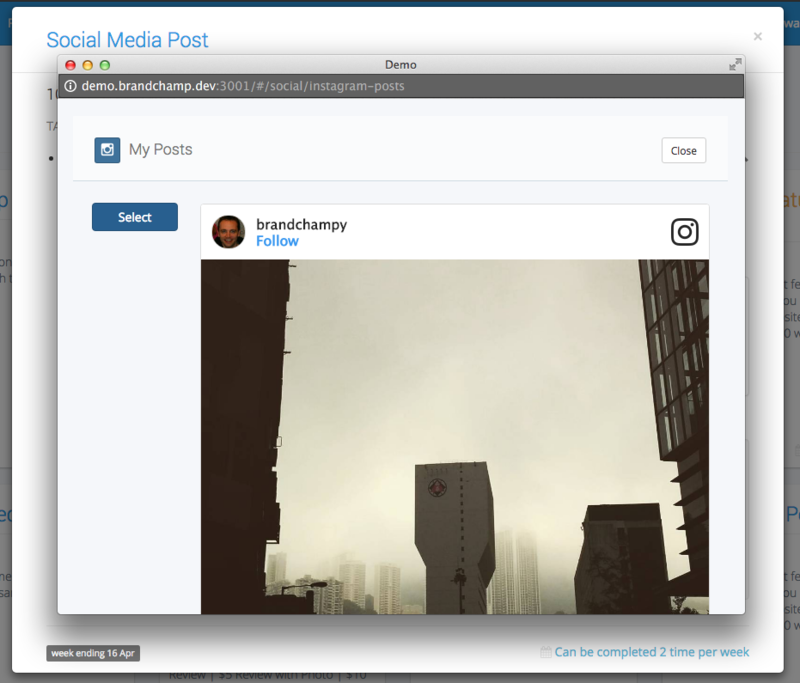 For this walkthrough, we'll keep the title "Social Media Post". Note: The title of the activity will be used at the end of the activity's permalink/URL. This permalink can then be shared with your BrandChamp's to easily access the activity you want to be completed. 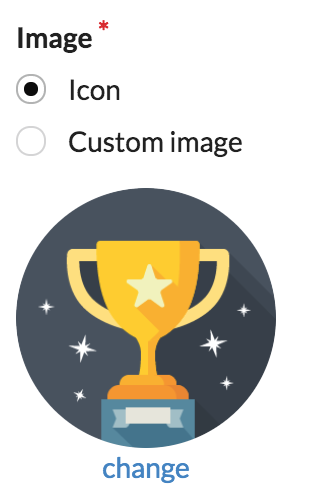 For this walkthrough, we'll select a BrandChamp icon. 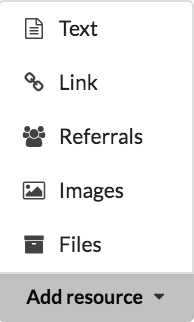 The "resource" area lets you share assets with your ambassadors and define some pre-defined content to share out on social networks. Title: Please Share your Link or Code! 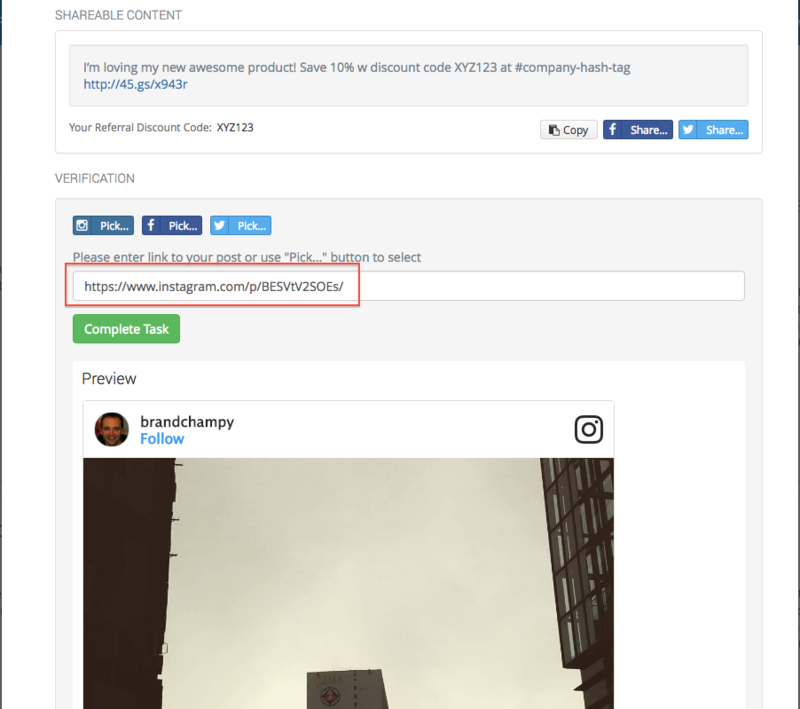 Referral Details: Check the box for "Referral Links" and "Discount Codes"
BrandChamps will be able to share the link or code by copying it to their clipboard so they can paste it into applications like Instagram. 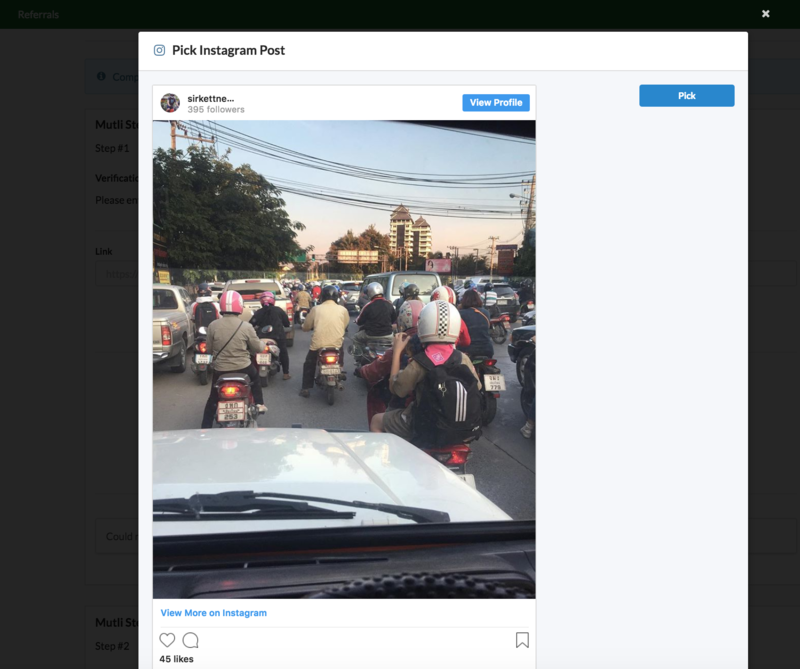 Note: Instagram do not provide any way for third parties to share a post on behalf of a user, so this is the only option available for that network. Set this to 100 to ensure it gets sorted first in the list of available activities in the BrandChamp portal. Finally, select "Tasks >" to define how the ambassador will submit the activity. The next section defines what we need BrandChamps to do in order to verify that they've completed the task successfully. In the case of a social media post, this would naturally be to give us a link to their post. This field allows you to change the title for the task at hand. This field will pre-fill after creating the activity's title in the "General Tab". To change the title for the task click "same title as activity" and to add multiple tasks select "+add task". For this walkthrough, we'll leave the title pre-filled. Because we want the BrandChamp to give us a link to their post, we choose "Web address" as the format of the data they will enter. This lets us validate that they enter a correct web address and enables the "Pick" buttons below. For other types of activities, we can also choose Text field to let them enter in some free text or the File upload to let them attach a photo, screenshot or document. We need BrandChamps to give us a link to their post, so how will they do that? We might ask that they just copy and paste the address into BrandChamp, but this can be fiddly (especially on mobile) and hard to explain to some users who may not be as technically savvy as others. 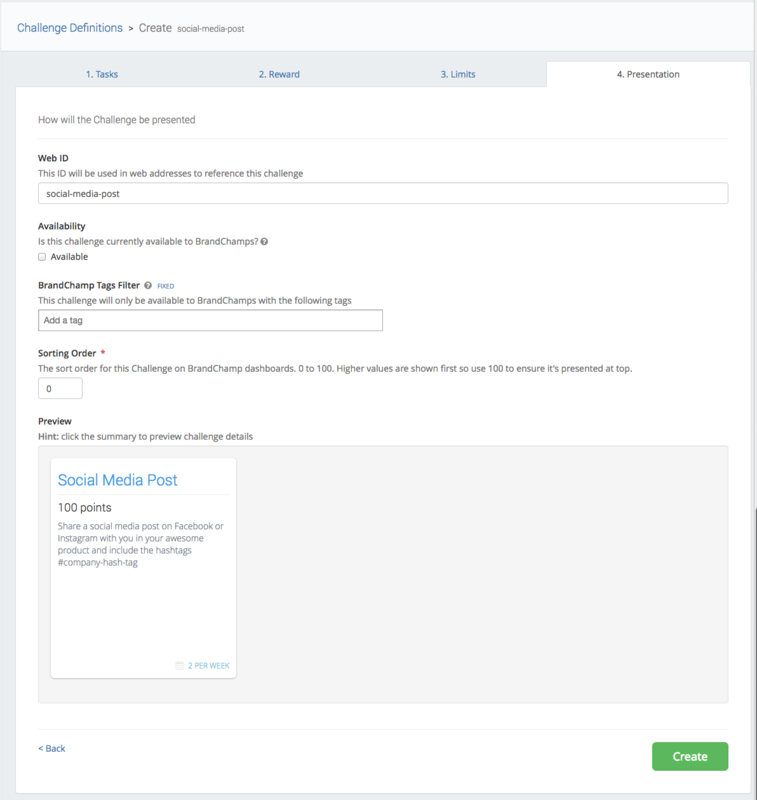 So BrandChamp offers an option to let them view their previous posts from Instagram, Facebook or Twitter inside the BrandChamp portal and simply click to select the relevant post which will pre-fill the web address automatically, making it super easy for BrandChamps. Note: if you are running an Instagram only activity for example, you'd only want to select Instagram here etc. 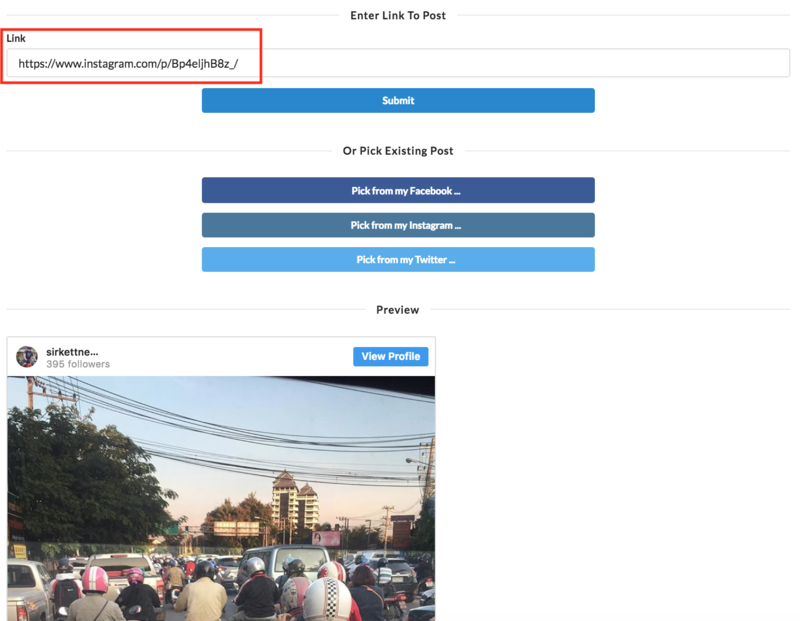 The first time they click on one of the "Pick..." buttons, they will be prompted to authenticate with the relevant network, after which they will see a preview of their recent posts and full timeline. For this walkthrough, we can leave the "Approval Outcomes" field at the default option. For more information on this area, see the Activity Types section. 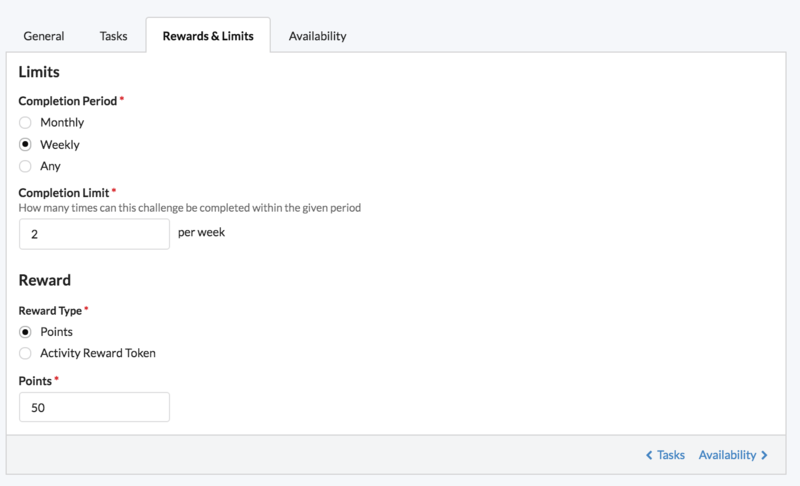 Click on the blue highlighted text "Rewards & Limits >" button or the "Rewards & Limits" tab to configure the Activity's reward. We can control how many instances of this type of activity a BrandChamp can complete in a given time period. For example, we can say that they can complete it 4 times per month, 2 times per week, or even configure it to be a one-time or two-time only activity etc. For social media posts, you may want to select a weekly limit to encourage more participation on a regular basis. 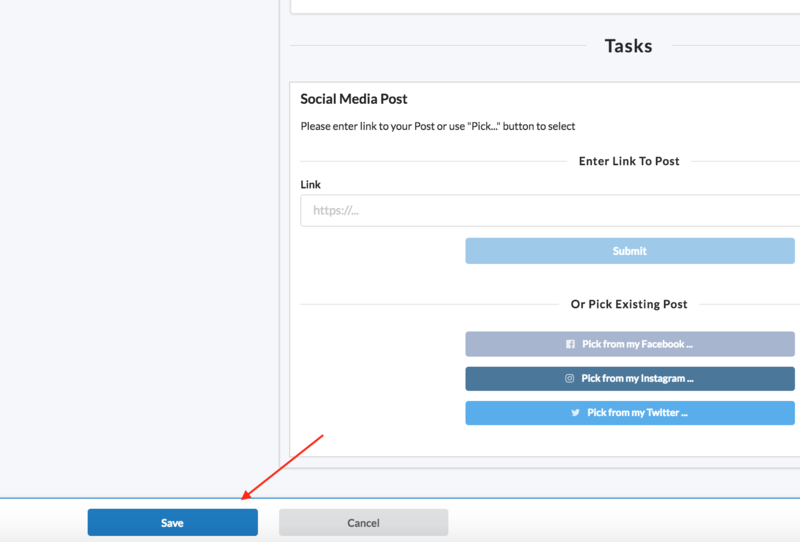 For example, you could set the activity up to allow 8 posts per month but this might encourage people to do a lot of posts in bulk towards the end of the month, limiting the spread and reach of the campaign. So instead, it would be better to allow 2 posts per week in that case. 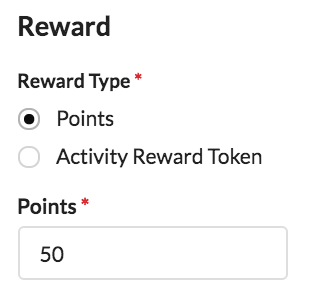 When a BrandChamp completes an activity they can either receive points, which they can use to select from a rewards catalog later, or they can receive a token for an actual reward such as a $10 off discount voucher etc. 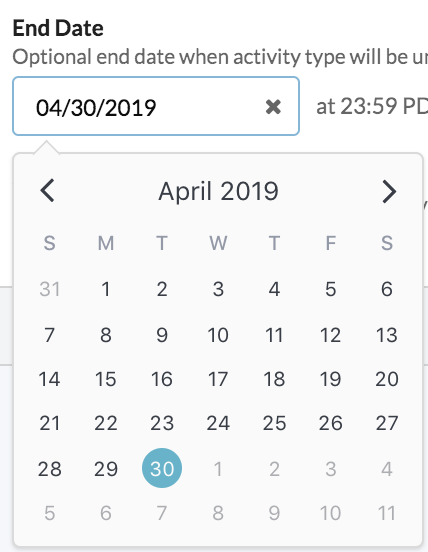 The Availability tab allows you to define specific details about who can see your activity and how long the activity will be available for submission. This area is useful if you want to have different BrandChamp "tiers". For example, you might have a " vip " level. 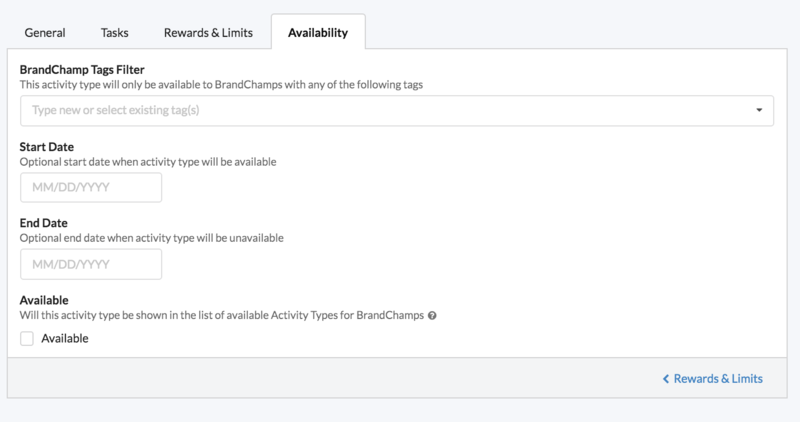 In this case, an administrator would tag each VIP BrandChamp with the " vip " tag either at onboarding time or by going into the BrandChamp admin page and adding the tag in the "User" tab. ( Note: BrandChamps never see the tag that has been assigned to them by an administrator). Then for activities you only want available to VIPs, you would add the " vip " tag in this field. That means a BrandChamp who has not been assigned the VIP tag by an admin would not see this activity in their portal but a BrandChamp with that tag would. For the sake of this walk through though, we'll leave this field empty so that all BrandChamps can view and complete this activity. 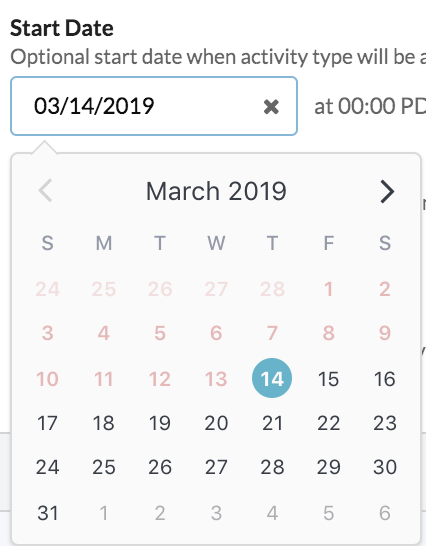 The start date field allows you to specify when the activity will be available for your ambassadors. Note: This is a great feature to utilize when you want to run specific marketing campaigns and track participation. After selecting the start date for our activity we can now define the end date. This controls whether the activity is displayed and available for completion in the BrandChamp portal. You'll want to set this to true. Remember! The system provides a preview of what the activity will look like in BrandChamp portal on the right side of the page. Be sure to scroll down to preview all the details and then click Save to create your first Activity Type! The next walk through will cover how a BrandChamp can complete the activity.